Dusky sharks, a bronze-blue colored species found in warm coastal and open ocean waters, are in trouble. Populations in the Atlantic Ocean and Gulf of Mexico have plummeted by 99 percent over the past 40 years as a result of overfishing and bycatch - the capture of non-target fish and ocean wildlife. Despite the federal government acknowledging that dusky sharks were severely depleted nearly two decades ago, the northwest Atlantic population is still being overfished today due to federal inaction. That's why Oceana is launching a campaign to save this species before it's too late. Over the next few months, Dusky the Shark, a fictional shark that's come ashore to save his population, will develop his "Bucket List" of campaign ideas. Dusky will meet with fisheries managers, elected officials, members of the public, and celebrities in the coming months to draw attention for his species and create regulations that reduce bycatch, especially ones like the Oceana method: count, cap, and control. 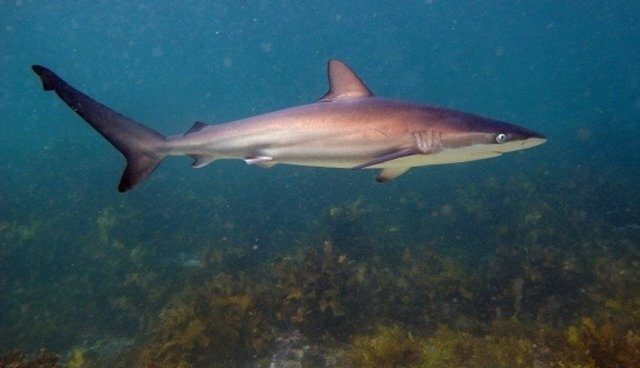 Take a look below to learn more about dusky sharks, and be sure to check the blog every day this week to see Dusky the Shark appear in a comic strip. Click here to take action to protect dusky sharks.